Please click here to look at the huge range we have available. Shelf Company Agents Are Warmly Welcomed. Watch Our Live Q & A Session Now!Companies and individuals who need to set up a company in a short space of time due to contract requirements, bidding timescales or trading readiness, need to consider a ready made or shelf companyto expedite matters.Whether you wish to start a new business, expand your current business, make the most of your taxation options, target new geographical markets or invest in real estate, we will help you turn your business plan into reality. If this is the case for your particular requirement, then there is no need for you to look any further than this site. We can provide all the relevant services for the speedy purchase of ready made companies worldwide, including notary and legal services for change of name, directors and shareholders. We can also assist with opening local bank accounts and office rentals where required, if you do not already have premises available. Ready made companies, what do we specialise in? Purchasing a new shelf company means that there is no trading history, the company is clean and clear of debts and you are safe in the knowledge that you can begin trading without any financial or administrative burdens that have occurred prior to purchase. These are companies which have already traded and have a history. Some clients require this type of shelf company for commercial and branding purposes. In these cases, we would provide a letter from the seller to confirm that any debts or commitments prior to acquisition would be incumbent upon the seller and not the buyer. Ready Made Companies – What We Do For You. Legal transfer requirements – in some cases, this may be included in the fee that we quote to you, according to the jurisdiction choosen. If they are not, we will provide you with a full quote for these services. This may include: transfer of ownership and name/address changes. 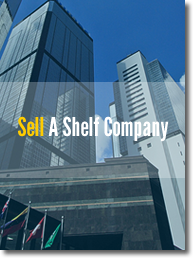 You Want To Buy A Shelf Company – What Do You Do Now? 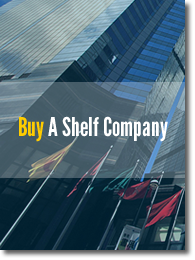 We have many different types of shelf company for sale and they’re listed by geographic region, please browse through the website to view the shelf companies available. You may wish to call us to confirm what is currently available, within your price range and requirements. If we don’t have anything suitable, we will use our worldwide network to assist you. 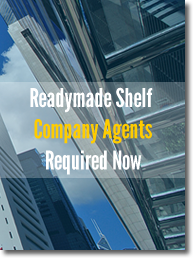 Do You Have A Shelf Company You Wish To Sell? If you have a company you wish to sell please follow the steps below OR call our sales team on +44 (0)208 421 7475.